There's a story behind this quilt. Isn't there always? 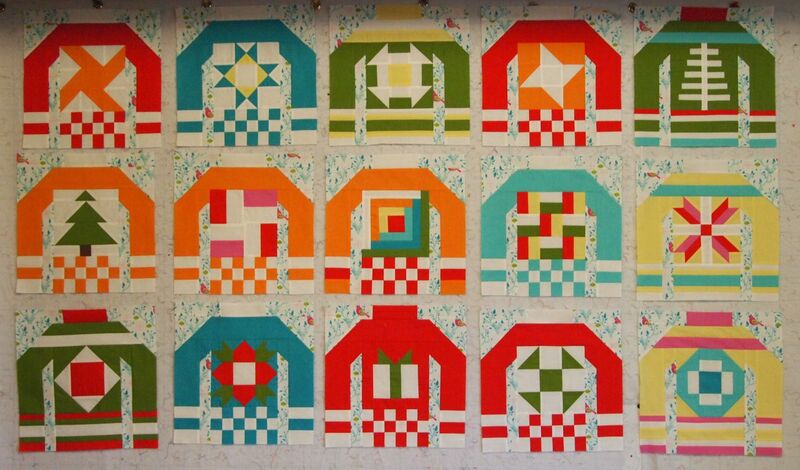 So when I saw Lorna's "Ugly Christmas Sweater QAL" on her blog, Sew Fresh Quilts, I knew I had to make this quilt! I love the way the birds show up in the background. I cut out all the pieces before I went on vacation last month. 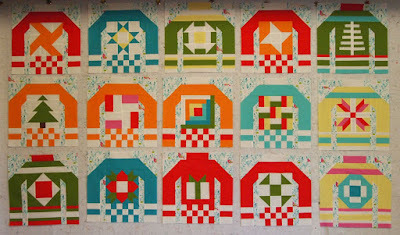 That is the way to get a quilt pieced quickly -- I just started making the blocks last week, and I should have all 20 finished by tonight! These blocks are addictive, it's just so fun to see how each will turn out! 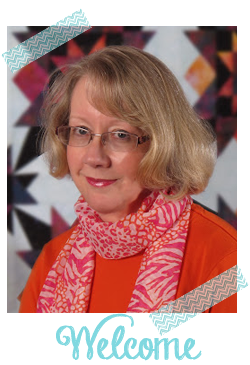 Lorna used a wide-long three-step zig zag to quilt her quilt. 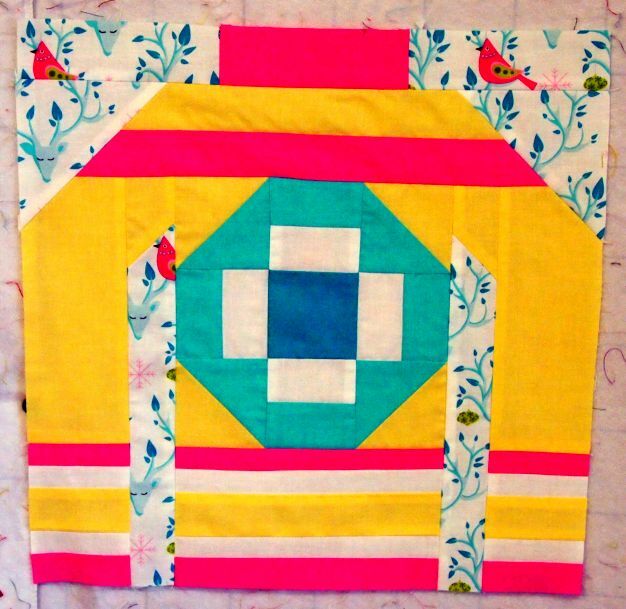 I've been trying to visualize how to do that as a "quilt as you go" method. I think I'll piece each row together, quilt them, then join the rows. I used this method for "Strip to Shore" awhile back, and it turned out very nice. I really wanted to make this quilt, even bought the pattern, but so far that's as far as I've gotten. Yours is looking wonderful! Unfortunately, the article title will get more attention than the quilt. How funny! And how very strange that we never have trouble finding ugly sweaters for those xmas parties.